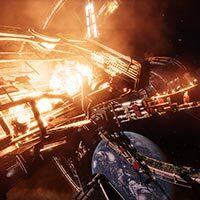 With two more examples of Experimental Modifications from The Engineers, highlighting enhanced starport outfitting, new weapons, drives, and points of interest Frontier announced the beta of The Engineers for the week ending 8 May. 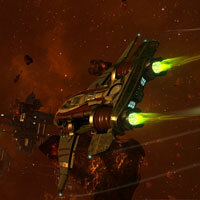 With the changes to weapons and modules coming with the Loot and Crafting features available to Commanders with The Engineers (2.1), all Starports in both 2.1 AND 1.6 have revamped Outfitting screens, improving the process of buying and fitting new items to your ships and offering an easier route to further, as yet unannounced, module additions. This extensive overhaul provides module filtering and easier access to relevant data on the Starport services screens for the busy Commander, as well preserving the ability to drilling to the deepest level of statistics for all weapons and modules. All such data is also now presented in a more legible format for Commanders using VR, and the opportunity has been used to give a more aesthetically pleasing layout for those Commanders not using VR. The clue is in the name, and needless to say, these pack a punch! They are available on both fixed and gimballed mounts to suit Commanders’ preferences. For those using smaller ships, in particular the Sidewinder, Faulcon de Lacey have introduced performance enhanced size 2 and 3 drives. Incredible fun for racing, they also give Commanders an extra bit of zip that can make all the difference in a dangerous encounter. You can check the new outfitting screens here. Many Commanders have their favourite systems and work hard within them, so they are usually already aware of the local situation. For Commanders who prefer to roam the galaxy looking for wars, the Pilots Federation has upgraded the GalNet system, so Commanders using 2.1 AND 1.6 will have a ‘state’ filter in the galaxy map which will highlight if a system is at war, or suffering a famine, or some other situation Commanders want information about. As well as making it easier to locate systems that are in particular states, all Commanders will also find the state of a system has a more direct impact on its factions and markets. Points of Interest (POIs) are encounters that Horizons players can discover upon the surfaces of planets and moons. The Engineers update adds new types of POIs to be discovered, and so new things that can happen on the surface, and others have been improved – including being guarded by low-flying ships. Also, human-created POIs will also not be encountered as far out from human space as they are at the moment. The in-game, unedited, images below show a Diamondback wrecked on a planet surface. This is just one example of the new POIs you will encounter. There’s also been a major re-vamp of Unidentified Signal Sources (USSs). Some are related to specific Missions in both 2.1 AND 1.6, so Commanders will need to seek specific locations using the discovery scanner, or by scanning the nav beacon (if the system has one). Scanning a nav beacon will give Commanders the exploration data for the system (if you don’t already have it). In addition, a breakthrough in sensor technology, will be rolled out across all Pilots Federation ships as one of the many membership benefits, allows USSs to be scanned while in supercruise, so Commanders can make a better-informed judgement of whether to get involved or not. 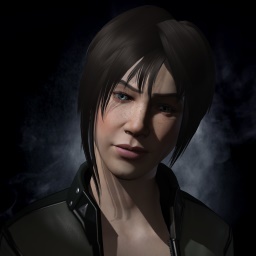 NPC behaviour will be receiving a large number of changes for both 2.1 and 1.6 Commanders. We’ve include a vast number of fixes and changes to NPC AI, addressing previous feedback from the community as well as improving high-ranked NPC pilot’s effectiveness in combat. In addition these changes will mean that Commanders in The Engineers (2.1) can expect to experience an increased level of activity near to planetary surfaces. You’ll see much more traffic flying between ports, or patrolling around bases, and as I’ve mentioned, some settlements have been spotted with defending ships, making strafing them a riskier business!